ALL RIGHT ALL RIGHT Matthew McConaughey stars in The Beach Bum Red Band trailer. Roshan, a longtime industry hand is most known for launching Radar in 2002 and before that serving as editorial director of Tina Brown’s Talk. He is also the founder of websites Punch! and TheFix.com. Roshan’s Twitter was already updated with the new gig as of Tuesday morning. She continues: “I graduated from the United States Naval Academy in 1997, and was on active duty for over a decade. When I began transitioning in 2010, I transferred from the Naval Reserves, which I had joined in 2008, to the Individual Ready Reserves, an administrative status that allows service members to deal with medical issues before returning to full duty. By spring 2012, I had resolved the “issues” at my own expense, and was ready to return to full duty — in my case, as a Navy helicopter pilot. SHE MAKES MONEY MOVES Cardi B will reportedly start a Vegas residency starting this spring. D-Listed said, “Today it was announced that Cardi B will have her very own residency at the Palms Casino Resort based club KAOS. Those days of sliding up and down on the pole like a jackhammer are just distant memories in a rear view mirror now because Cardi has finally arrived! 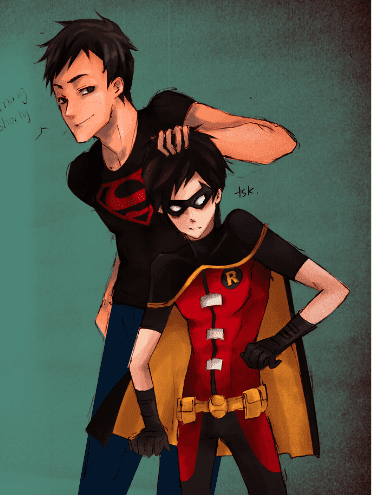 JUSTICE IS A DISH BEST SERVED HOT AS THESE TWO DC’S Young Justice has us swooning over Robin (aka Tim Drake) and Superboy’s (Conner Kent) quiet moments. I SWEAR IT’S THE TRUTH MA! Covington Catholic’s Nick Sandemnn says that’s just his RBF. NO MEANS NO Nancy Pelosi doubles down on no State of the Union for the prez while the government shutdown continues. THIRST TRAP Single Record and #NoHomo director Nelson Lassiter is a triple threat.